Spartak Moscow under hammer for racism, again! 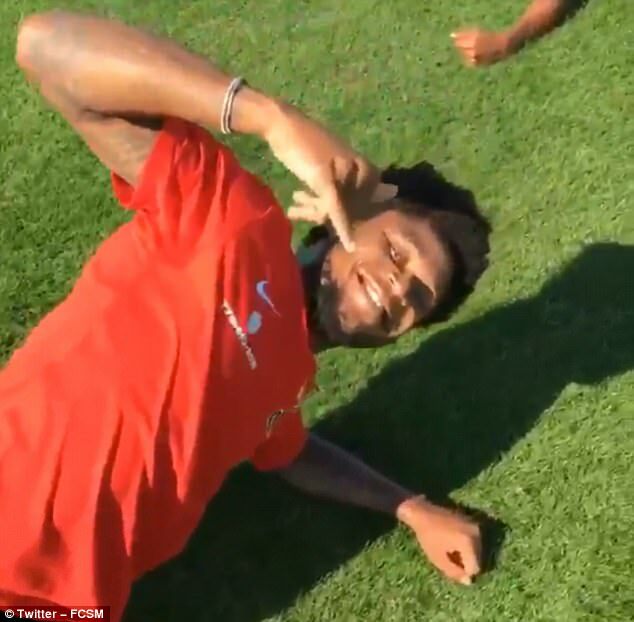 Spartak Moscow have been accused of racism after posting a video of three black players stretching during a warm-weather training session with the caption ‘see how the chocolate melts in the sun’. The tweet came from the club’s official account and shows Spartak trio Luiz Adriano, Pedro Rocha and Fernando stretching in the United Arab Emirates sunshine. The video’s caption ‘see how the chocolate melts in the sun’ was accompanied by a series of smiley face, sunshine and chocolate bar emojis. Spartak were instantly condemned on Twitter after posting the video with social media users calling the club a ‘disgrace’ and accusing them of racism. The club tweeted on Friday to announce that Spartak player Georgi Dzhikiya would be taking over the official account though it is unknown whether it was the defender who wrote the video’s caption. The anti-discrimination group Kick It Out condemned the Russian club, writing a response on Twitter which read: ‘This social media post from the official account of Spartak Moscow only continues to highlight the prejudices towards black people in Russia. Piara Powar, executive director of Football Against Racism in Europe, believes the message from Spartak is troubling as Russia builds towards hosting the World Cup later this year. He told BBC Sport: ‘Racism is one of the biggest issues Russia faces in the year they host the World Cup. References like this show how some minorities are seen by some in the country. It is the second time in three months that Spartak have been embroiled in a racism scandal after Liverpool youngster Rhian Brewster accused one of the Russian side’s youth players of racially abusing him during a UEFA Youth League match in December. Liverpool made a formal complaint to UEFA after Brewster accused Spartak defender Leonid Mironov of abusing him during the meeting between the club’s Under-19 sides. Russia host the 2018 World Cup finals in June but some players have raised concerns over their suitability given that racist incidents remain commonplace in the country’s domestic league. Former Zenit St Petersburg striker Hulk suggested racist incidents could mar the tournament while Manchester City’s Yaya Toure warned Russia back in 2013 that black players could even boycott the finals. FIFA president Gianni Infantino insisted racism will not be tolerated during the tournament and said World Cup referees had been given the power to abandon matches should they deem it necessary. Spartak have been fined twice in less than three years by the Russian football governing body for fans’ racism. 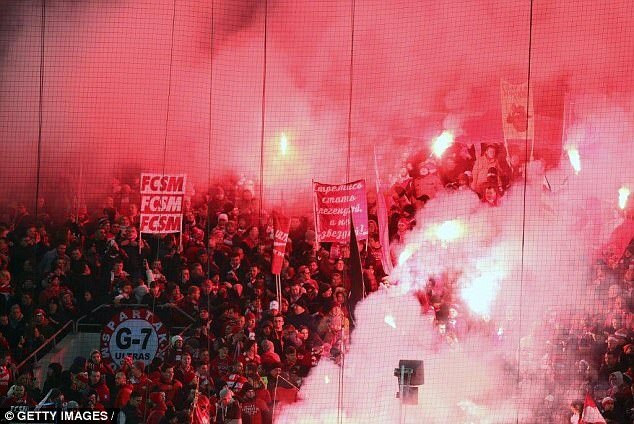 In April 2015 they were fined £2,500 and supporters were banned from attending two away games after Spartak fans unveiled a ‘banner of discriminatory content’ during a domestic match. And in July of last year, Spartak were fined £4000 for fans’ racist behaviour for aiming racist chants towards an opposition goalkeeper. Spartak are currently in the UAE for a warm-weather training camp during the Russian Premier League’s winter break. The club’s next competitive fixture back is their Europe League round of 32 clash with Spanish side Athletic Bilbao on February 15. Spartak were in Liverpool’s Champions League group and drew with Jurgen Klopp’s side in Moscow before being thrashed 7-0 at Anfield in the return fixture.